Is Anton Kreil Gay ? The Investment banker Anton Kreil is widely known for being the Managing Partner and founder of the Institute of Trading and Portfolio Management. He is a professional trader who coaches aspirationals individuals who want to work at an Investment Bank or trading the markets with their own savings. Kreil also appeared in the BBC's British TV series Million Dollars Traders which aired in 2009. Anton Kreil was born on January 16, 1979, in Liverpool, England. He was born to a middle-class family and lived a tough childhood. When he was four years old his father moved to Germany and his mother had to work various jobs to feed the family. Kreil and his younger brother lived a poor life and he is thankful for it since he believes it made him the person he is today. At the age of 16, he opened his first trading account and started trading through the tech boom in profit. Kreil is an undergraduate of Economics from the University of Manchester and received a formal job from an Investment trading desk. Later on, he was hired by Goldman Sachs as a professional trader and he completed the Goldman Sachs Analyst Program in 2000 and another program called Associate Program in 2002. Anton Kreil is professionally a reality tv personality, coach and Investment Banker. He is the Managing Partner and founder of the Institute of Trading and Portfolio Management which was founded in May 2013. It was established with a purpose to coach and educate aspirationals individuals who want to work at an Investment Bank or trading the markets with their own savings. Anton Kreil pictured in his working desk. He had spent three years to perfect the vocal delivery of all key professional trading concepts and processes to give more knowledge on trade. Anton manages the Institute parent company’s Jakubstadt Holdings global portfolio as Managing Partner. Besides trading, he also appeared in the BBC's British TV series Million Dollars Traders which aired in 2009. Currently, he is the part of Jakubstadt Holdings, Institute of Trading and Portfolio Management, FA Ltd.
Anton Kreil's estimated net worth is $10 million. He is the owner of a Professional Trading Masterclass which he established to coach the people who want to pursue a career in this financial market field. 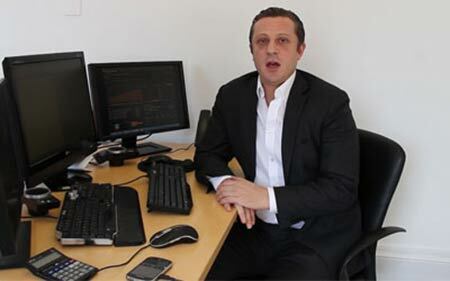 His major source of income is from his career as a professional trader. Anton Kreil is married to businesswoman Meng Jiang. She is a proprietor of Panda Chow Chows which is set up in Singapore. The couple doesn't have any children as of yet. She has three Chow Chow puppies named Tudo, Doudou, and Yumi whom she pets. But one time she was accused of dying the puppies hind legs for a photoshoot and many criticized her for being cruel to the animals. However, she replied to the controversy by saying she had used 100% animal dye which is totally safe for the animals and that she loves the puppies immensely. Elisa Allen who is an associate director at animal cruelty charity PETA criticized by saying there isn't any safe way of color dying and the dye can prove to be toxic or allergic to the animals. He has a passion for traveling and has traveled over 25 countries through South East Asia, New Zealand, South America, mainland China & Japan, Australia and so on. Kreil has a passion for financial markets and is highly devoted when it comes to financial activities. He is highly dedicated to his work and has the ability to educate new talents in the financial industry. Kreil is interested in Public Speaking, Coaching Traders and Trading. He has around 35.9k followers as of October 3, 2018. The couple is happily married and residing in Singapore. They don't have any children as of yet.